The sE RIBBON is a beautiful piece of engineering. Its single ‘Figure of 8’ polar pattern is derived from an incredibly fine 2 micron Aluminium membrane. 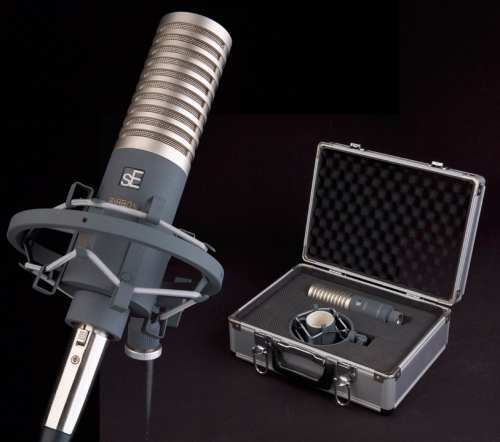 As such it has a higher-than-normal frequency roll-off (at around 7KHz), and greater sensitivity, producing a more open and natural sound than you’d expect form a ribbon mic. The RIBBON is ideally suited to recording Electric Guitar cabs, Overhead Drum micing, Brass and woodwind Instruments, String Sections and for Commercial Broadcast and Voice Over. It comes with a 10 year replacement capsule guarantee (see web site for details), and packaged with its shock mount in a full flight case.